Add a soft yet sophisticated edge to your outfit with the Rupert Sanderson Savanna Sandal. Textile upper. Adjustable ankle strap with buckle closure. Slip-on design. Open toe silhouette with crisscross style straps across the toes. Leather lining. Lightly padded leather insole with golden stitched brand logo. Wrapped chunky heel. Gold embossed design accompanying the leather sole. Made in Italy. This item may ship with an attached security tag. Merchandise returned without the original security tag attached or a damaged tag may not qualify for a refund. Measurements: Heel Height: 4 in Weight: 11 oz Platform Height: 1 in Product measurements were taken using size 37.5 (US Women~s 7.5), width M. Please note that measurements may vary by size. Weight of footwear is based on a single item, not a pair. Tie your entire outfit together with a classic elegance in the Rupert Sanderson Aga. Leather upper. Slip-on design. Pointed toe silhouette. Suede decoration at center. Leather lining. Lightly padded leather footbed with embossed logo. Stacked half-moon shaped heel. Leather sole. Made in Italy. This item may ship with an attached security tag. Merchandise returned without the original security tag attached or a damaged tag may not qualify for a refund. Measurements: Heel Height: 3 4 in Weight: 7 oz Product measurements were taken using size 36 (US Women~s 6), width M. Please note that measurements may vary by size. Weight of footwear is based on a single item, not a pair. Be the envy of all wearing the Rupert Sanderson Fernie Ankle Boot. Beautiful suede textile upper. Pull-on construction with single side zipper for closure. Almond-toe silhouette. Smooth textile lining. Lightly padded leather insole. Covered block heel. Durable leather outsole. Made in Italy. This item may ship with an attached security tag. Merchandise returned without the original security tag attached or a damaged tag may not qualify for a refund. Measurements: Heel Height: 2 1 2 in Weight: 10 oz Circumference: 9 1 2 in Shaft: 6 in Product measurements were taken using size 40 (US Women~s 10), width M. Please note that measurements may vary by size. Weight of footwear is based on a single item, not a pair. Your dramatic entrance will be captivating wearing the Rupert Sanderson Diana Pump. Smooth velvet upper. Slingback-style strap with adjustable buckle closure. Slip-on construction. Pointed-toe silhouette. Smooth leather lining. Lightly padded leather insole with brand name logo golden patch. Covered stiletto heel. Durable leather outsole. Made in Italy. This item may ship with an attached security tag. Merchandise returned without the original security tag attached or a damaged tag may not qualify for a refund. Measurements: Heel Height: 4 in Weight: 6 oz Product measurements were taken using size 36 (US Women~s 5.5), width M. Please note that measurements may vary by size. Weight of footwear is based on a single item, not a pair. The fierce Rupert Sanderson Spice Pumps with have you licking your lips in anticipation! Mesh upper with lips pattern details. Slip-on style. Pointed-toe silhouette. Mesh lining. Lightly padded insole. Wrapped stiletto heel. Durable leather outsole. Made in Italy. This item may ship with an attached security tag. Merchandise returned without the original security tag attached or a damaged tag may not qualify for a refund. Measurements: Heel Height: 3 1 4 in Weight: 6 oz Product measurements were taken using size 39 (US Women~s 8.5), width M. Please note that measurements may vary by size. Weight of footwear is based on a single item, not a pair. 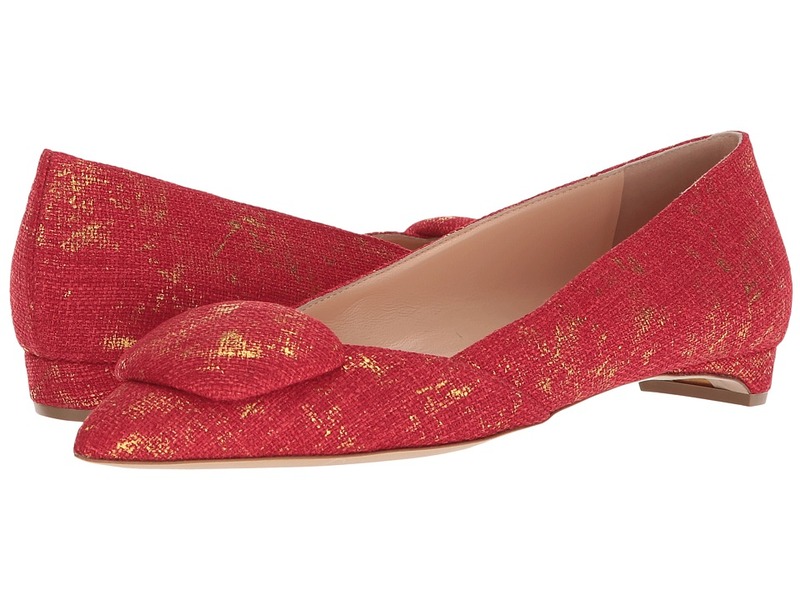 Feel the style bliss of wearing the Rupert Sanderson Eden. Satin upper. Halo style ankle strap with tie closure. Eye-catching golden leaf accents at the ankle. Leather lining. Lightly padded leather insole. Wrapped rectangular heel. Leather outsole. Made in Italy. This item may ship with an attached security tag. Merchandise returned without the original security tag attached or a damaged tag may not qualify for a refund. Measurements: Heel Height: 4 in Weight: 7 oz Product measurements were taken using size 39 (US Women~s 8.5), width M. Please note that measurements may vary by size. Weight of footwear is based on a single item, not a pair. 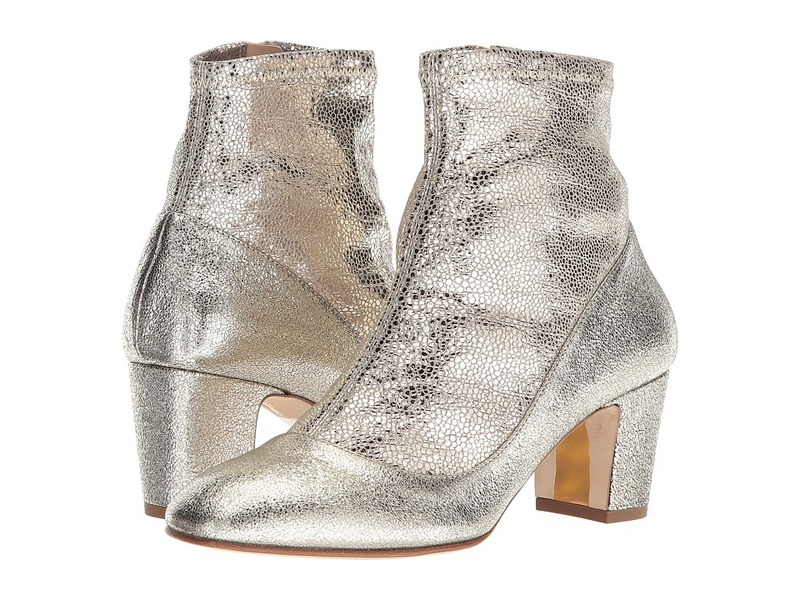 Stomp the concrete runway in these fierce Rupert Sanderson Nightingale Booties. Leather upper. Inside-zipper closure. Chain link decoration up the front. Peep-toe silhouette. Leather lining. Lightly padded leather insole. Wrapped stiletto heel. Durable leather outsole. Made in Italy. This item may ship with an attached security tag. Merchandise returned without the original security tag attached or a damaged tag may not qualify for a refund. Measurements: Heel Height: 3 3 4 in Weight: 10 oz Product measurements were taken using size 38.5 (US Women~s 8), width M. Please note that measurements may vary by size. Weight of footwear is based on a single item, not a pair. 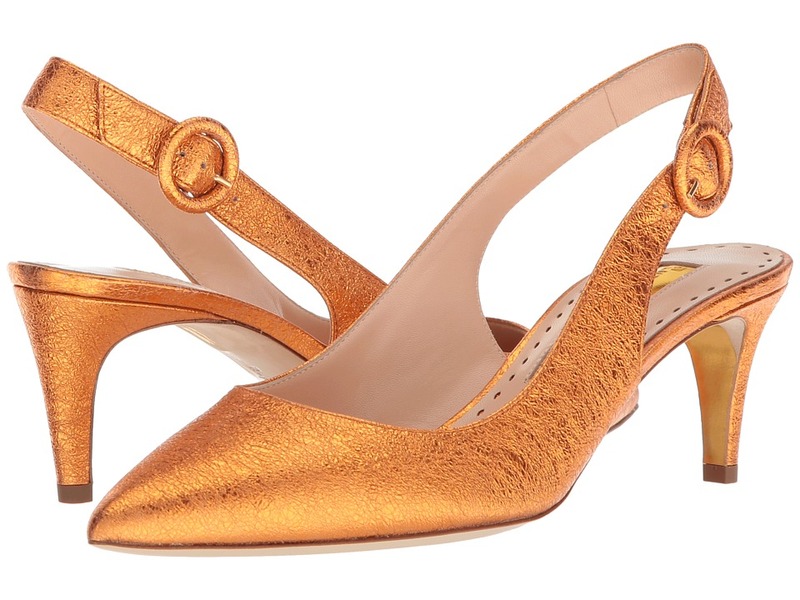 Your dramatic entrance will be captivating wearing the Rupert Sanderson Serena Pumps. Crackled metallic leather upper. Slip-on construction. Open-toe silhouette. Smooth leather lining. Lightly padded leather insole with brand name logo golden patch. 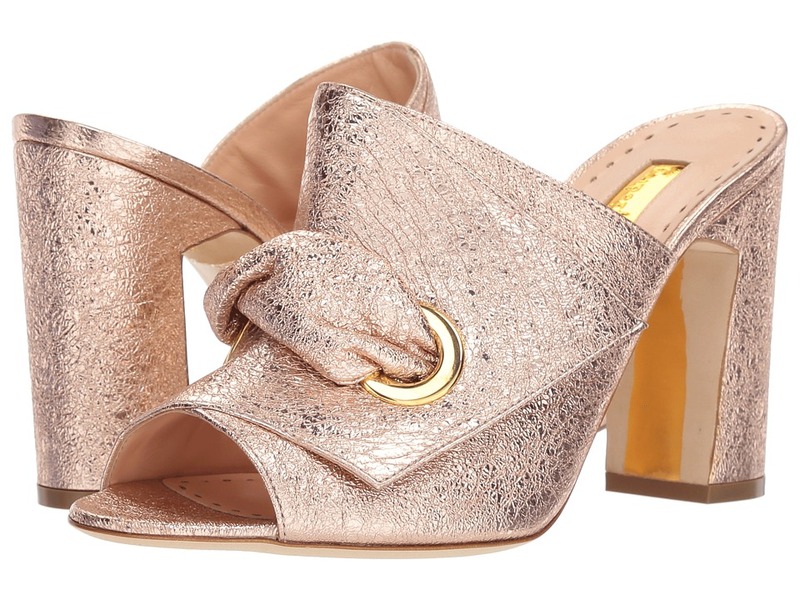 Wrapped chunky heel. Durable leather outsole. Made in Italy. This item may ship with an attached security tag. Merchandise returned without the original security tag attached or a damaged tag may not qualify for a refund. Measurements: Heel Height: 3 3 4 in Weight: 9 oz Product measurements were taken using size 39.5 (US Women~s 9), width M. Please note that measurements may vary by size. Weight of footwear is based on a single item, not a pair. Stomp the concrete runway in these fierce Rupert Sanderson Magda heels. Woven textile upper. Slip-on style with slingback ankle strap. Open-toe silhouette. Decorative tassels at the vamp. Leather lining. Lightly padded leather insole. Wrapped heel. Durable leather outsole. Made in Italy. This item may ship with an attached security tag. Merchandise returned without the original security tag attached or a damaged tag may not qualify for a refund. Measurements: Heel Height: 3 1 2 in Weight: 6 oz Product measurements were taken using size 38.5 (US Women~s 8), width M. Please note that measurements may vary by size. Weight of footwear is based on a single item, not a pair.